Are signs of aging such as wrinkling and hyperpigmentation catching up with your skin? To help counteract signs of aging in your skin, True Skin Care Center now offers HydraFacialⓇ as an exciting, non-invasive treatment option to revitalize your aesthetic! Located in Chicago, Illinois, True Skin Care Center is determined to provide leading service through the most modern procedures. Our elite medical team is comprised of expert estheticians who aim to realize your aesthetic goals while ensuring your safety and comfort. Contact us today to schedule a consultation appointment and find out if HydraFacialⓇ is your key to youthful skin! HydraFacialⓇ is a refreshing treatment option that delivers long-term skin health in as little as 30 minutes! 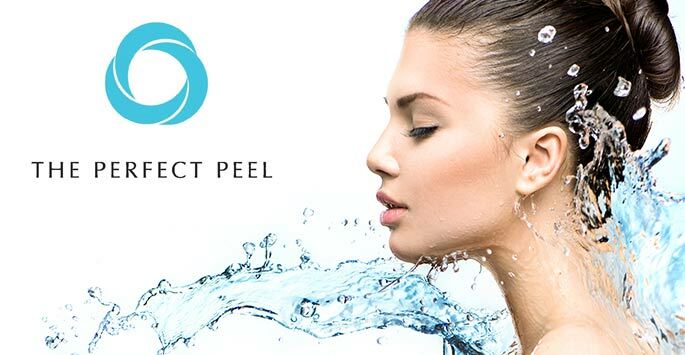 This innovative, multi-step treatment combines the benefits of microdermabrasion, chemical peeling, extraction, antioxidants, peptides, and hyaluronic acid for results you have to see to believe. How does HydraFacial Ⓡ work to rejuvenate my skin? What can I expect from skin rejuvenation through HydraFacialⓇ? Many people who have been chosen for HydraFacialⓇ have seen a noticeable difference in their skin immediately after their treatment session. Smooth and refreshing results from HydraFacialⓇ can last between 5 to 7 days, if not longer. To help maintain optimal skin health, we recommend one HydraFacialⓇ treatment session each month to improve the overall appearance of age lines, hyperpigmentation, and oily and congested skin. How can I benefit from skin rejuvenation through HydraFacial Ⓡ? Who is a good candidate for skin rejuvenation through HydraFacialⓇ? HydraFacialⓇ is specifically designed to be safe for all skin types, including those with sensitive skin. If you are looking for a non-invasive, rejuvenating treatment to promote healthier, softer, and younger-looking skin, HydraFacial Ⓡ may be a suitable treatment option for you. Consult with our team to learn more! Don’t let common signs of aging skin catch up to you. Contact us today to schedule a consultation appointment and find out if HydraFacial Ⓡ can help you achieve younger-looking skin!